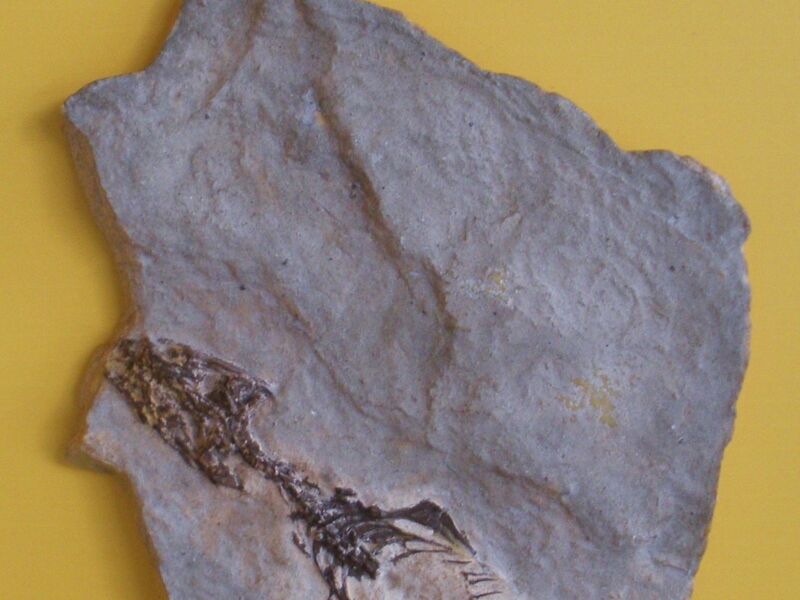 A fossil reptile almost a quarter-billion years old found in the Italian Alps has changed our understanding of the evolution of lizards and snakes. It’s as old as predicted by genetic theories of lizard evolution – which is nice, because the oldest-found lizard fossils until now came from much later. The reptile discovered in the Alpine rocks turns out to have features unique to squamates, the group including lizards, snakes and legless lizards that look like worms. The squamate identification, based on high-tech analysis of a previously found skeleton, reconciles a pesky 70-million-year gap between the age of lizards as suggested by the genetic “molecular clock” theory and paleontological findings, an international team of scientists reported Wednesday in Nature. Megachirella wachtleri datedto 249 million years ago and is now the earliest squamate found so far, resolving a few burning issues that had been plaguing paleontological minds – one being how far back these animals go. Let us be clear: nobody is proposing that Megachirella wachtleri specifically is the mother of all lizards and snakes. “To be precise, Megachirella is the oldest known lizard, and therefore the closest thing we have to an ancestor of lizards,” explains lead author Tiago Simões of the University of Alberta, Canada. Before Megachirella, the oldest-known squamate fossils were bits of jaws belonging to lizards and snakes found in the United Kingdom, Morocco and Central Asia. One was Eophis, the oldest snake, but it dated merely to the middle Jurassic about 170 million years ago. Squamate evolution began on the supercontinent of Pangaea, which explains why the order’s descendants are found today on all continents except Antarctica, and it isn't because people brought them as pets. But there had been a real question as to when the squamates first arose, where that happened, and who was first. A candidate for oldest squamate, Tikiguania estesi (found in India) turned out to be from the Cenozoic, a much later period, Simões tells Haaretz. High-tech reanalysis of the Megachirella skeleton found in the Italian Alps concluded that it had features unique to squamates. Dated to the Middle Triassic, it was about 240 million years old. This is 72 million years earlier than the next true squamate found so far, which lived in the Jurassic. One reason to suspect an early start for the lizardly beings is that fossils of lizards and snakes became increasingly common from the mid-Jurassic, about 170 million years ago. Ergo, their ancestor had to have lived long before. The team now believes the squamata originated in the Permian, over a quarter-billion years ago. 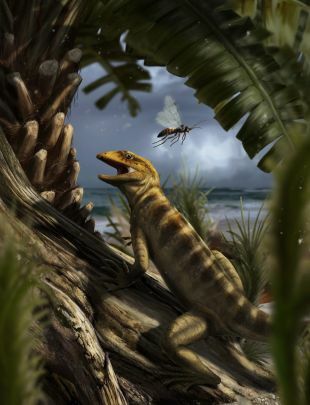 This means the lizard precursors would have had to have survived the Permian-Triassic mass extinction 251 million years ago, after which the serious radiation of the group – new species splitting off – began. We don’t know what caused the Permian-Triassic mass extinction, but life forms of any significant size were wiped out. Some believe that as many as 96 percent of the animals in the sea died out and about 70 percent of the terrestrial species. On the upside, this protracted inhospitable period on Earth, which lasted for millions of years, may be why we are graced with so many reptile, lizard and snake species today. “This event could have created new opportunities for diversification within the reptile lineages, rather than their origins as previously thought,” Simões says. In other words, the competition entirely or largely died out, so did their predators and the proto-lizards could have run riot without getting eaten. 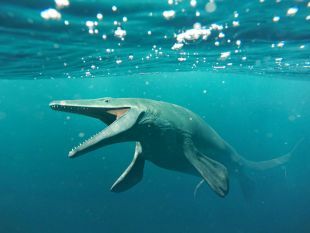 As they diversified, squamates over the ages have ranged in size from about an inch (2.5 centimeters) long to the thankfully extinct mosasaur, which stretched as much as 56 feet. So the squamates were fruitful and multiplied. The next event of interest to laymen lizard lovers happened about 206 million years ago. “Geckos (the earliest modern family of lizards to evolve) diverged from another main lineage of lizards that gave rise to all other modern families of lizards,” Simões tells Haaretz. So geckos were the first modern lizard family to evolve, predating the iguanians. Respect. Which brings us to tuataras, the famous “three-eyed” reptile endemic to New Zealand. 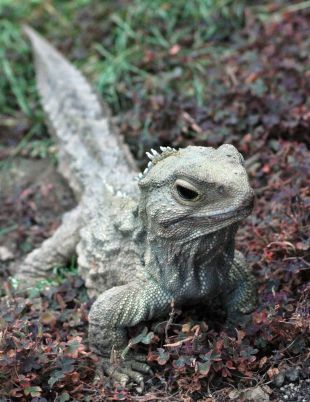 The tuatara, Sphenodon punctatus, looks like a lizard but belongs to the order Rhynchocephalia, which is a sister lineage to the lizards (like marsupials are the sister lineage to placental mammals, and humans are the sister lineage to chimpanzees, Simões helpfully explains). The Rhynchocephalia split off even earlier than geckos: the oldest-known fossil member of that group has been dated to the Upper Triassic, which began 237 million years ago. And finally, squamates and rhynchocephalians split off from a common ancestor that lived 269 million years ago, Simões says. As for the evolution of our friend the snake, they definitely arose from lizards, and seem to have split off from burrowing lizards, possibly during the Jurassic. Whlie making orders among our reptiles, the squamata include the group of legless lizards, which are not snakes. They are lizards that look like snakes. Some may sport vestigial limb buds. However wormy they may look to some eyes, they are true squamates, with ear-holes: they can hear your insults.